It was a gratifying surprise to hear that Jeff Bezos (CEO and Founder of Amazon) had selected The Innovator’s Solution by Professor Clayton Christensen as one of three books for his senior team to read as part of an Amazon book club he hosted. 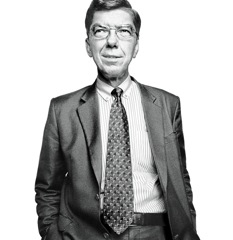 Prof. Christensen (pictured here) coined the term “disruptive technology” when he wrote the first book in his series on innovation, The Innovator’s Dilemma. He further evolved the concept to “disruptive innovation” with The Innovator’s Solution because technology in and of itself does not making a sustaining business. A few of the online games that Zynga developed and distributed through Facebook did not build a moat around the business, but instead created a blueprint for the competition including Facebook itself. Instagram made the right decision to sell to Facebook, as no amount of capital would have allowed them to go from being an interesting “feature” to an innovative, platform company like Facebook. A disruptive innovation is one which enables a new population of consumers to partake in or access a product or market, where previously that product was too expensive or accessible only to a limited few. Such innovations often start out at the bottom of the market, may be simpler or, initially, even appear to be less attractive than the leading market’s product(s). The postal mail system has been disrupted by email, personal computers have been disrupted by smartphones and digital photography has disrupted traditional film roll/chemical photography. Apple, the mother of disruptive innovation, really changed the game for consumer electronics (iPod), mobile communications (iPhone) and information appliances (iPad) not only with aesthetic products but by vertically integrating with the Apple store. Who would have thought that Apple would grow to be the most highly valued company in the world. In contrast in the 1990’s, when technology companies had peak (inflated) market values, the holy grail of business models was to license software with 99% per cent gross margins as Microsoft did. So in addition to an alternative channel of distribution through its’ stores, Apple realized more gross margin dollars meant more after-tax profit per share and so bundled hardware, software and services. Interestingly that trend began in the enterprise technology space with companies like Sun Micro, EMC and most successfully Cisco. 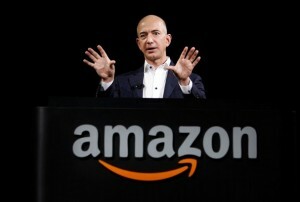 That has all been good for customers and shareholders of Amazon alike, not just Jeff! While books such as Good to Great by Jim Collins are inspiring and seem “data driven,” it is all very retrospective and in Good to Great’s case, virtually all of the “great” companies are gone or irrelevant at this point. Competitive Strategy by Professor Michael Porter, also of Harvard, is truly data driven but, for me, I feel The Innovator’s Solution is more evolved with specifics that can be applied at any phase a business is in. And it’s not just a glib mantra about innovation but rather a practical approach to implementing all the factors that would contribute to success. Much of the strategy I have implemented with Okyanos was the result of what I have learned from The Innovator’s Solution and other publications by Professor Christensen. There is much work to do to make Okyanos a success, but we have a strong handle on the factors we need to focus on.